Audubon Adventures is an environmental education program developed by the National Audubon Society for children in grades 3 through 5 and is correlated to Common Core Language Arts and Next Generation Science Standards. 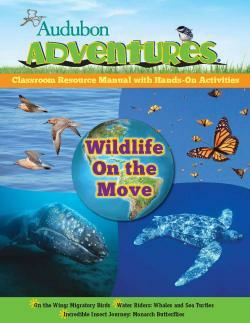 Adventures is suitable for use by educators at nature centers and in other settings. Environmental education in an important component of the tenets of the Louisville Audubon Society. We feel that educating children about the birds, wildlife and habitats of our planet and the role children can learn to play in preserving and protecting them, is crucial to our well-being. Audubon Adventures is distributed in two formats: digital ($16) or print-based, consisting of 4 sets of 32 individual kits ($35 plus S&H). This year’s featured program is “Sharing Our World with Birds.” To view this and other titles available please visit the Audubon Adventures website at http://education.audubon.org/audubon-adventures. The Louisville Audubon Society will sponsor the first 10 educators requesting an Audubon Adventures kit for the school year 2014-15. Beyond that number, we will assist in securing sponsors to purchase additional kits. To be eligible for your FREE program you must place the order through us. For more information or to order, please contact Charon Morales, Louisville Audubon Society, at chmorales2@yahoo.com or (702) 371-2129.